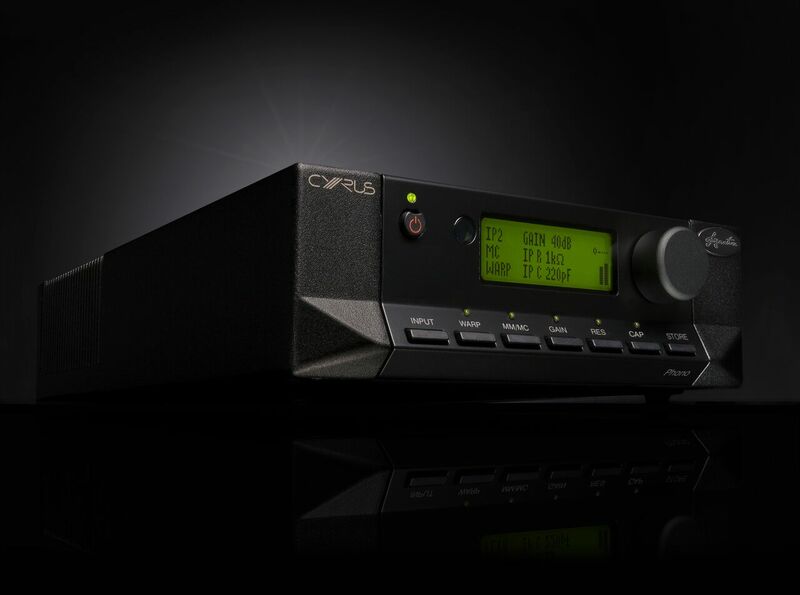 The Cyrus R&D team have been thinking ‚outside the box’ for our latest addition to the Cyrus component range; reinventing the phono stage to significantly improve vinyl performance. Many believe that vinyl offers the most emotionally involving medium for recorded music. A perfect new record will sound wonderful. However records in a collection will vary in mastering and pressing qualities and will therefore benefit from subtle tweaks made to the phono stage settings that can brighten or calm an imperfect disc. The Phono Signature allows this fine adjustment from both the front panel and from the listening position via the remote control. We have enjoyed a long history with vinyl, launching our first audiophile phono stage (aEQ7) back in 1998 to add a premium vinyl solution to the Cyrus family of components. Now for 2016 we are releasing possibly the most exceptional design ever, offering potentially the most advanced phono pre amplifier available anywhere in the world today. Technically Phono Signature has been designed to exceed the expectations of serious vinyl audiophiles, particularly in areas such as; dynamic performance, accurate cartridge matching and flexibility of use. By adding IR remote control of cartridge matching we can for the first time ever, provide invaluable tonal control to rebalance imperfect discs. Stereo level meters working in real time allow clear and accurate level adjustment between inputs. Phono Signature allows up to four turntables to be permanently connected enabling listeners to enjoy multiple cartridges, turntables or arms. Each of the four inputs can be accurately matched to the exact specification of the cartridge, and now, the acoustic preference of the user. Adjustment is provided for MC cartridges in gain, resistance and capacitance facilitating a huge 160 possible combinations. In addition a switchable warp filter is provided to maximise amplifier performance. 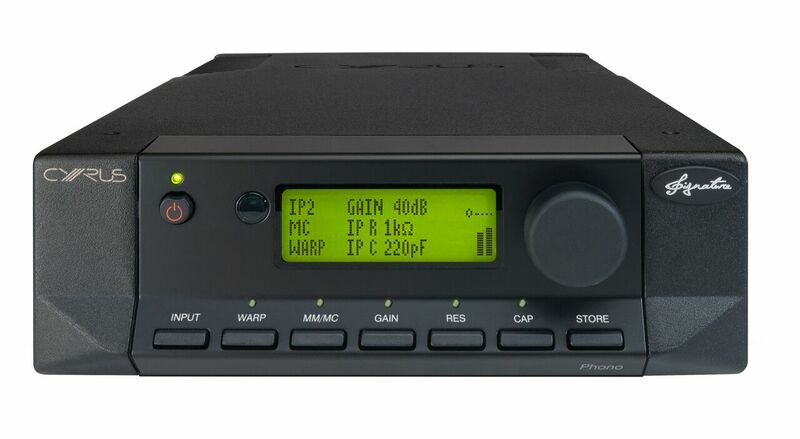 Phono Signature enjoys a high capacity and very low noise DC power supply that enables the pre amplifier to provide an extremely wide dynamic range ensuring extended signal levels long before clipping. Attention to circuit layout and component placement ensures a very low noise floor to further expand musical dynamics. The RIAA passive de‐emphasis filter uses very high performance metallised polyester capacitors for ultimate sonic performance. Additional performance will be gained by connecting the optional external PSX‐R₂ power supply. 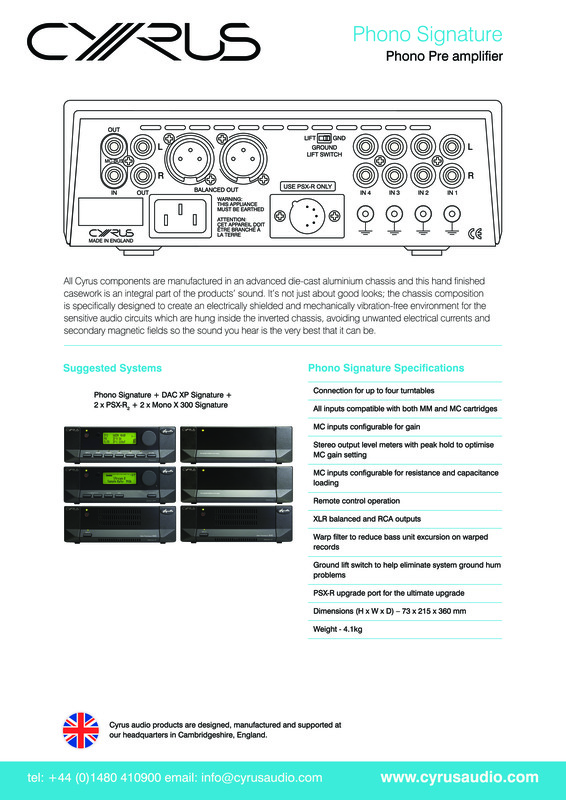 This provides highly regulated DC power for the signal amplification.